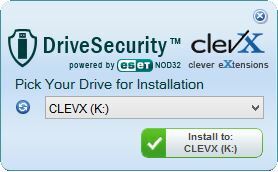 How do I install DriveSecurity? 2. Insert a portable drive. 3. 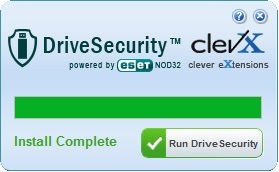 If this is a reinstallation, delete the DriveSecurity.exe file and the ESET folder from the portable drive. 4. Double-click the DS-Installer.exe from your download folder. Next Activate the software— see Activating DeviceSecurity.